06 Jan 2014 SINGLE MALT WHISKEY: WHAT’S ALL THE FUSS ABOUT? Sarangi is a foundation that looks to promote, develop and conserve Nepali folk and music. With a passion and love for music, Avash Nirola and Nirvana Chaudhary established Sarangi Foundation. The foundation’s aim is to help Nepali traditional music to foster and more importantly develop a sense of pride amongst all. With a mission to promote, develop and conserve traditional Nepali folk music, the foundation has taken up its first project to revive the Music Museum of Nepal. The foundation, with its three pillars of promoting, developing and conserving, is on a mission to take traditional Nepali music to newer heights, both locally and globally. “We are taking it step by step, and currently working on conserving what we have then we will slowly work towards developing it and then finally promoting it” says Avash. “We knew we had to make a difference musically and socially”, says Nirvana. 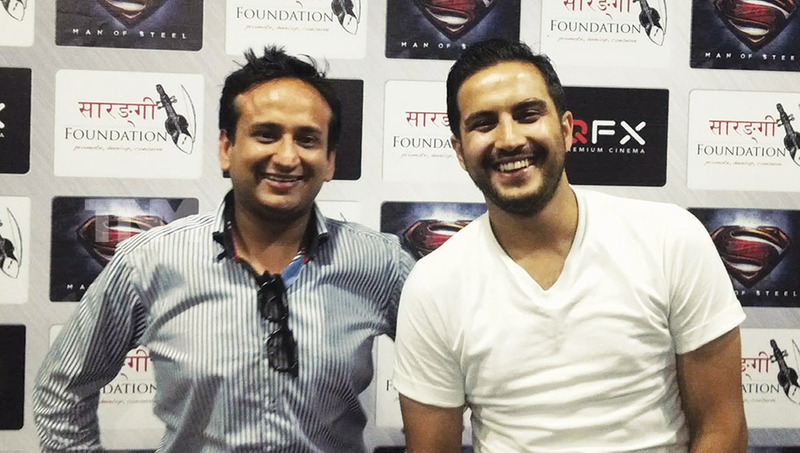 The foundation recently screened the premier show of Man of Steel on 21st June at OFX and is already in the talks with the Music Museum of Nepal on how to utilize the funds raised during the event. Sarangi Foundation is geared for more fundraising events in the future. Get in touch with Sarangi Foundation on their facebook page.